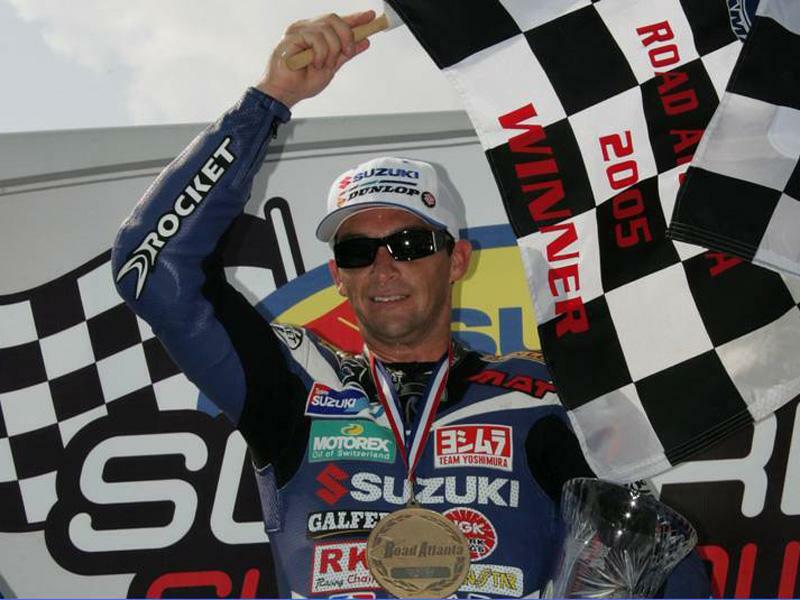 Six-time US Superbike champ Mat Mladin topped Monday afternoon’s AMA Superbike Daytona tyre test, the first major shakedown for the 2007 US season. Mladin’s best time of 1:39.63 was a 0.1s quicker than Honda’s Jake Zemke 1:39.78, with Eric Bostrom third in his and Yamaha’s comeback to superbikes on the new R1. Reigning champ Ben Spies was fourth fastest with a time of 1:40.249 on his Yoshimura Suzuki. Former MotoGP rider, Britain’s James Ellison had his first experience of the Daytona banking on the Corona Extra Honda and set 13th quickest time with a 1:42.83. Team-mate and fellow Brit Gary Mason is to race a Corona Extra Honda in the AMA Supersport class next year but rode a stock CBR1000 at the test and was 18th quickest with a time of 1:47.54. Chaz Davies was 16th quickest, lapping his Yamaha R6 supersport –spec bike in 1:45.06. The Dunlop Tyre Test at Daytona runs from December 4-6, and is followed by a Pirelli-sponsored test on Dec. 7 and 8.